NEW FINISH LINE LOCATION THIS YEAR! 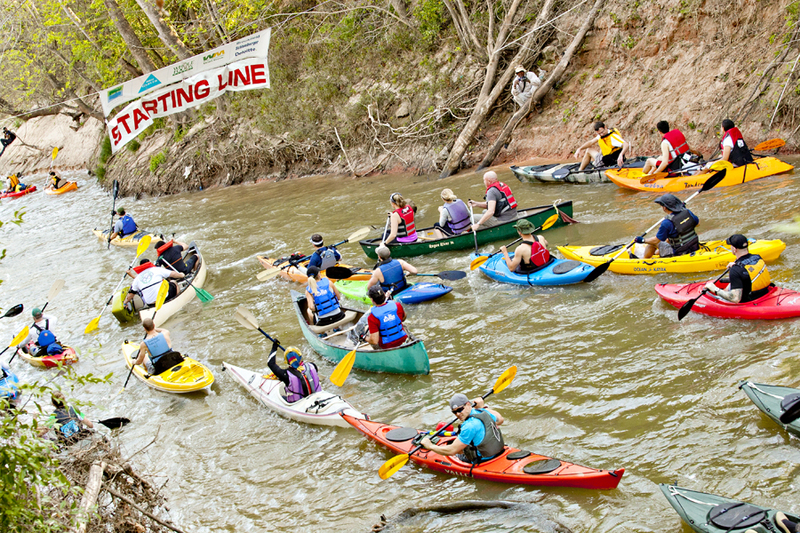 Join us for Texas’ largest canoe and kayak race – the 46th Annual Buffalo Bayou Partnership Regatta on March 10th! 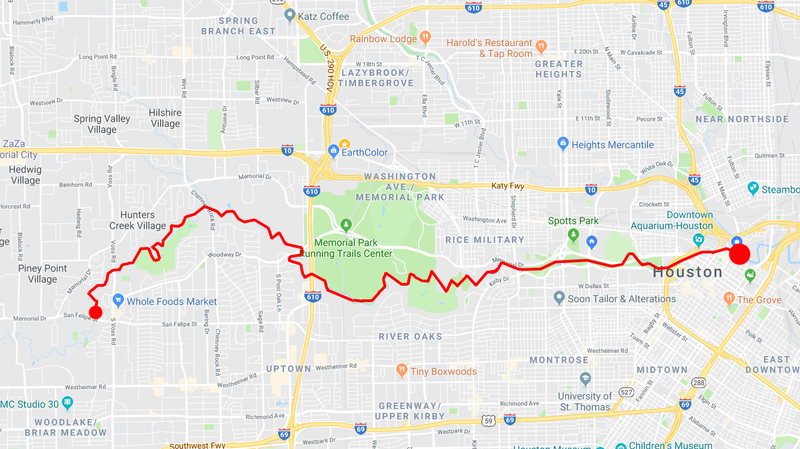 Paddlers, ages 12 and up, are encouraged to participate in the 15-mile race along the scenic Buffalo Bayou. Whether you are entering competitively or paddling for pleasure, you won’t want to miss out on this longstanding Houston tradition! Register today! Click here to learn about team sponsorship opportunities. The Buffalo Bayou Partnership Regatta is rain or shine. If cancellation does take place due to severe water or weather conditions, all entry fees will support the work of Buffalo Bayou Partnership. Note that there are no refunds given for Buffalo Bayou Partnership Regatta registration fees. Trophies will be awarded to the top three paddlers in Teams, Recreational Canoe, Recreational Kayak, and Unlimited Divisions. Free shuttle service for all participants (no boats) will be provided by The Wave at the Finish Line from 11:30 am to 3:30 pm near Allen’s Landing. The shuttle will transport participants back to the Start Area at 7700 San Felipe. DUE TO THE NUMBER OF CANOES AND KAYAKS IN THE RACE THERE WILL BE MULTIPLE STARTS FOR THE DIFFERENT CLASSES. Participants can place their boats on the slopes of the bayou (perpendicular to the bayou) 10 minutes prior to the start of their division. Boats nor competitors can touch the water until the start of their division. Any participant not complying with the above will be disqualified. Paddlers who register by 11:59 pm on Tuesday, March 6 will be eligible for early packet pick-up. Packets include boat numbers, Regatta t-shirts and additional race information. Paid parking located behind Spaghetti Warehouse (free after 5pm) or meter parking on Commerce Street and surrounding area. If you have any changes to your Regatta registration (i.e. paddler names, contact information, boat classification, etc. ), please notify Rebecca Leija at rleija@buffalobayou.org ASAP.